Hello, all! 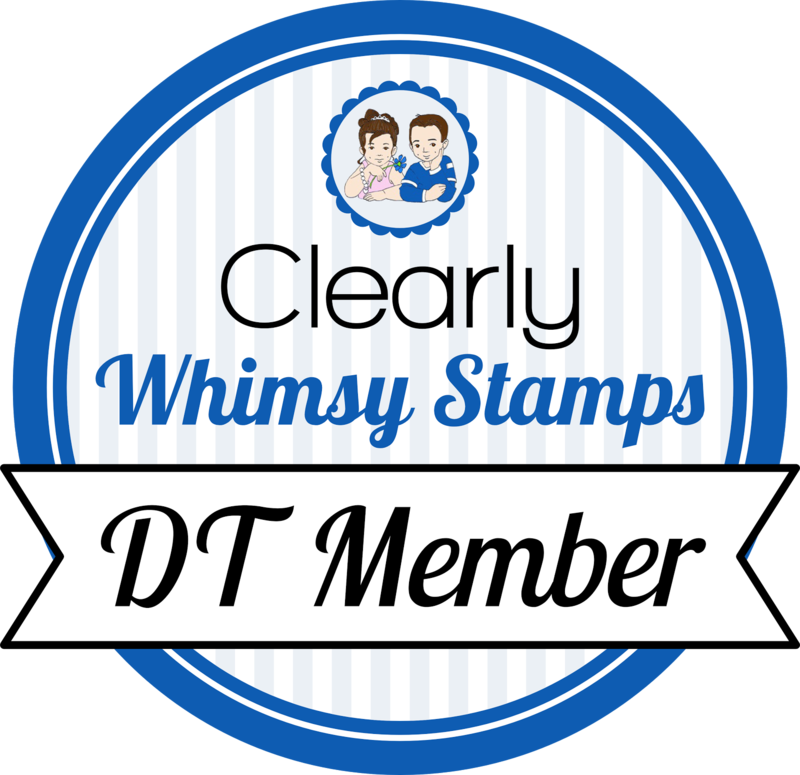 I took the summer off from posting, but I'm back now starting with the Whimsy Stamps September release. We will be sharing sneak peeks for the next seven days, and all the new products will be available for purchase in the Whimsy store on September 7th. Today we are showing Caution Dog Slobber (and dies) Caution Wagging Tail (and dies). I started by stamping the doggie and cutting him out with his matching die. I used copics to color him. I stamped the bones on a turquoise piece and added some shading with copics. Then I stamped some paw prints on the background, and added the turquoise layer on top of it. 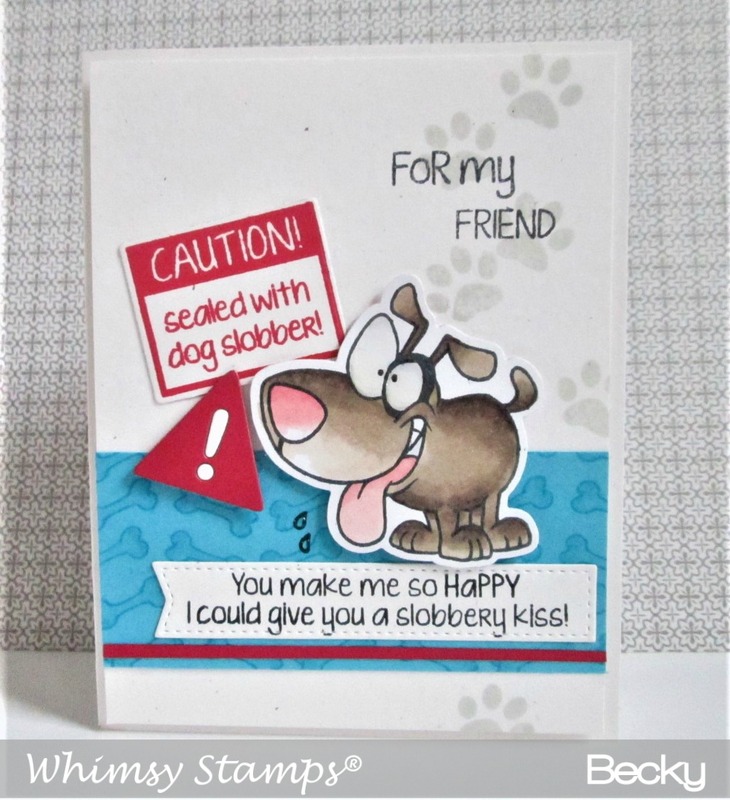 I added a strip of red cardstock on the bottom, the sentiment strip, the doggie, and the caution signs. Next, I stamped the "For My Friend" and popped up the main panel on a matching card base. Lastly, I added Crystal Effects to doggie's eyes and slobber drops. Head over to the Whimsy blog for more details and peeks! LOL! This card totally makes me SMILE!